Sifting through endless lists of job postings can be draining. You begin your job search full of enthusiasm but after an hour or so of reading advertisements which all look and sound the same it’s easy to lose interest. A well-crafted job specification is a recruiter’s ultimate tool to find the best candidates, but it can help you too. Let’s see how you can decide which job postings you should take the time to craft a response for. What you will do at your new job? Where will the employment be? What kind of surroundings will you have? What skills you will draw on? How will your managers and team interact with you? Will you work by yourself? What type of remuneration would you like? ...and anything else you can think of. This little task is not intended to help you find this exact job – though if you do that, all the better! But it will certainly give you guidelines by which to search. You will know whether a job ticks most of your boxes and warrants further attention, or whether it offers none of your criteria, in which case move on. Now that you have a good idea of what you would like it’s time to get searching. When you have found a job listing that you are considering it is a good idea to step back from the tasks listed on the job posting and imagine what a day, or week, filled with those tasks would look and feel like. Listed on the page, or screen, we can tend to overlook this most important aspect of the job in favor of the company, industry, location, or salary on offer. Yet, this is precisely how your days will be filled, so if you don’t like the picture you paint then move on. Don’t forget to be realistic in what you imagine, making coffee is still making coffee no matter how fancy the office or how prestigious the clients are. This is an imperative step in any job search. Each of us are motivated in life by different things. Some of us thrive on succeeding in a competitive sales environment while others feel most valuable when they are helping others in a caring capacity. What makes you feel most alive and worthwhile about what you do? It could be the paycheck you get at the end of the week, it could be the chance of promotion, or recognition for a job well done. Or you may prefer to take a back seat, quietly ensuring that everything runs smoothly, that calendars are organized, funds are secure or that someone going through a difficult period in their lives feels heard. Whatever it is that really motivates you should be a top priority in your job search, if your job doesn’t give you the opportunity to shine in the areas that matter most to you, in the long-term you will end up dissatisfied. 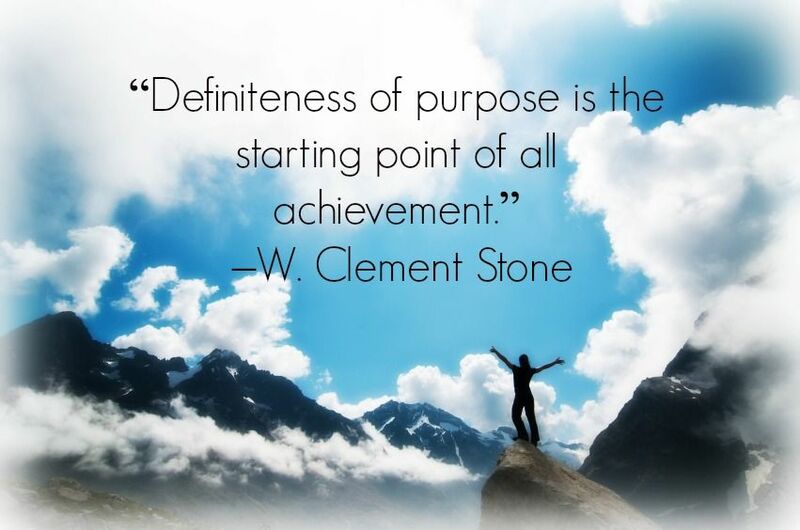 As, business man & philanthropist, W. Clement Stone, once said, ‘definiteness of purpose is the starting point of all achievement’. You don’t have to be a linguist to be able to do this. We use language everyday of our lives to communicate with those around us. You are already an expert at figuring out what people mean. So, does their language portray themselves as an approachable company, one that values its employees? What does the type of language say about their corporate environment? Is it formal or more relaxed? What words do they use to describe the type of person they are searching for? Does this sound like you? Do they mention anything about their goals – again what words do they use? Do they resonate with you? Employers, or certainly recruiters can sometimes overlook the elements that the company offers you when they draw up a job specification. Is there anything that should be on the job description that is missing? If so, is it an important issue for you, is it something that you would like to find out about before agreeing to interview for a position with this company? Sometimes an omission on a job spec can be a mere oversight, a simple mistake which anyone could make – but if that’s the case it doesn’t give a very good first impression. If details have not been put in the job listing because the hirer doesn’t believe that they are important, or is trying to conceal something, then you have a different situation on your hands. You need to decide whether that is a company you would want to work for? If not, move on. Trawling through job listings can be hard work, but if you keep your own skills and priorities in mind instead of trying to squeeze yourself into every criteria outline you come across then you will find that you move through the listings more productively and with less stress. Remember too, that your skills, whatever they may be are certainly in demand by someone, it’s just a matter of valuing yourself and searching until you find the right fit.